Surprised then that people aren’t trying with computers. Isn’t that how the LEGO movie was produced? I was disappointed when I learned it was not real stop motion animation. reminds me of how Harold Halibut “A Handmade Adventure Game developed” is being made with photogrametry. When I was a kid I made a number of 8mm animated movies in various styles, although I have no artistic talent. But when you are a kid and it’s summer, you have nothing but time. The excitement of waiting a week for the film to return and see how it turned out is still visceral to me. I’m glad that there are people with far more talent and patience than me who still do it. That is some creepy but amazingly artistic work right there! That takes a level of patience that is so far beyond me that I can’t even fathom it. Robot: (especially in science fiction) a machine resembling a human being and able to replicate certain human movements and functions automatically. This doesn’t move on it’s own, though. There’s really nothing robotic about it. Robot or puppet I believe that both terms could work. Of course there is no artificial intelligence on it. 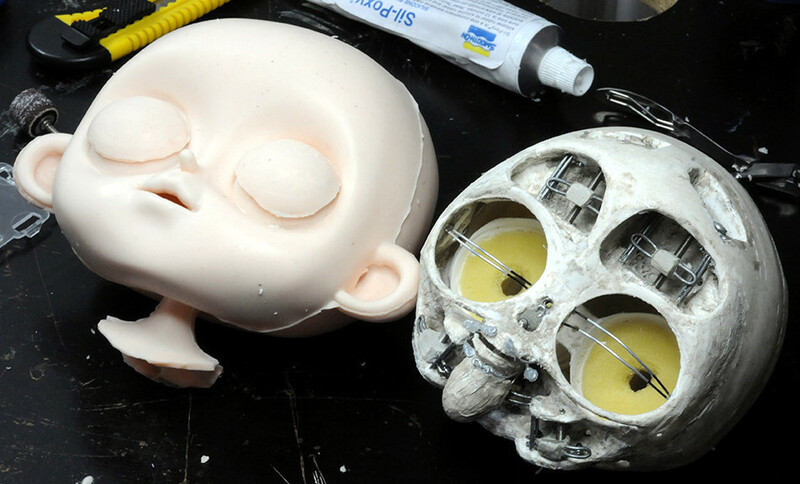 The making approach of the puppet (expecially for the head) is close to robot used in special effects. If you do in a bigger scale and control the movement via stepper motors or servos it becomes an animatronic robot (always driven by an human and not autonomously). A spectacular classic – couldn’t believe my luck, when I found it on sale for ~8$ a few years ago. Bit of an uncanny valley to it. That is really awesome! I never knew animation were made like that! Thanks for sharing.